Bat Out Of Hell The Musical (Touring) is On Tour! Bat Out of Hell is a rock musical written by Jim Steinman based on the album of the same name. Steinman wrote all of the songs, most of which are songs from the Bat Out of Hell trilogy of albums by Meat Loaf including Bat Out of Hell, II: Back into Hell and III: The Monster is Loose. The musical is a loose retelling of Peter Pan and Wendy, set in post-apocalyptic Manhattan (now named "Obsidian"), and follows Strat, the forever young leader of The Lost who has fallen in love with Raven, daughter of Falco, the tyrannical ruler of Obsidian.Bat Out of Hell has book, music and lyrics by Jim Steinman, direction by Jay Scheib and choreography by Emma Portner. It is produced by David Sonenberg, Michael Cohl, Randy Lennox and Tony Smith. The show stars Andrew Polec as Strat and Christina Bennington as Raven, with Rob Fowler as Falco and Sharon Sexton as Sloane.The musical premiered at the Manchester Opera House in Manchester, England, on February 17, 2017 and ran there until April 29, 2017. It opened in London on June 5, 2017 and ran there until August 22, 2017 before moving to Toronto, Canada, from October 14, to January 7, 2018. The musical returned to London at the Dominion Theatre in April 2018. The musical was released on audio CD as an original cast recording album. Bat Out of Hell began previews at the Manchester Opera House on February 17, 2017 ahead of an official opening on March 14. It closed on April 29.Dianne Bourne of the Manchester Evening News gave the show a 5-star review, calling it "a truly staggering piece of musical theatre, which breaks new boundaries in its staging, choreography and concept on an epic scale." Paul Downham of North West End said, "this show has literally changed the way musicals are staged forever." Bat Out of Hell began previews at the London Coliseum on June 5, 2017 ahead of an official opening on June 20 and ran until August 22, 2017. On its final performance, the cast announced a return to London at the Dominion Theatre in 2018. After the production completed its run in Toronto, Bat Out Of Hell officially opened at The Dominion on 19th April 2018. The production is taking bookings until 27th October. The London Coliseum production was nominated for a 2018 Olivier Award for Best Sound Design, by Gareth Owen (sound designer). Bat Out of Hell made its North American premiere at the Ed Mirvish Theatre on October 14, 2017 and ran until January 7, 2018. 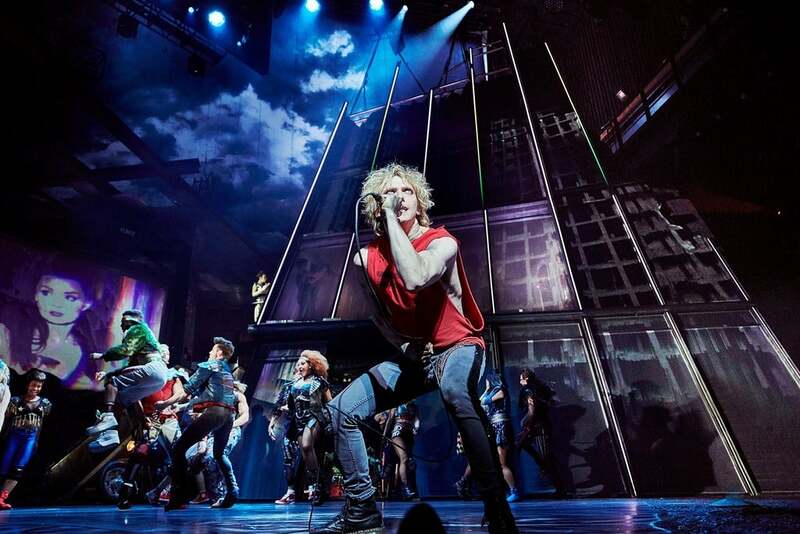 Bat Out of Hell will make its German premiere at the Metronom Theater in fall 2018. 3. Who Needs the Young? Bat Out Of Hell The Musical (Touring) has no reviews.